Nothing brings smiles to entire families than Christmas light displays. And when entire neighborhoods get into the holiday spirit, it brings whole communities together, with people driving from all points of the county just to get a glimpse of someone else's neighborhood display. Sure, commercial displays might be grander in some cases, but nothing says Christmas better than a heartfelt lighted residence. 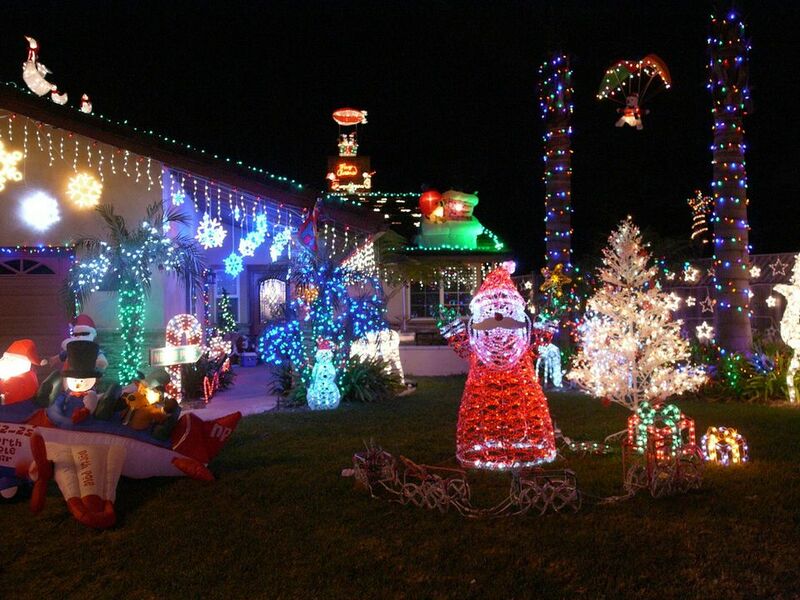 The following is a partial list of some of the more well-known (and annual) holiday light displays. Since these are private residence displays, listings are subject to change. Listings in BOLD are displays that are sure bets to get you to say, "Ooohhh...Aaaaah." Curtis Mueller's spectacular Christmas light show featuring concert lighting effects, lasers, and fog.